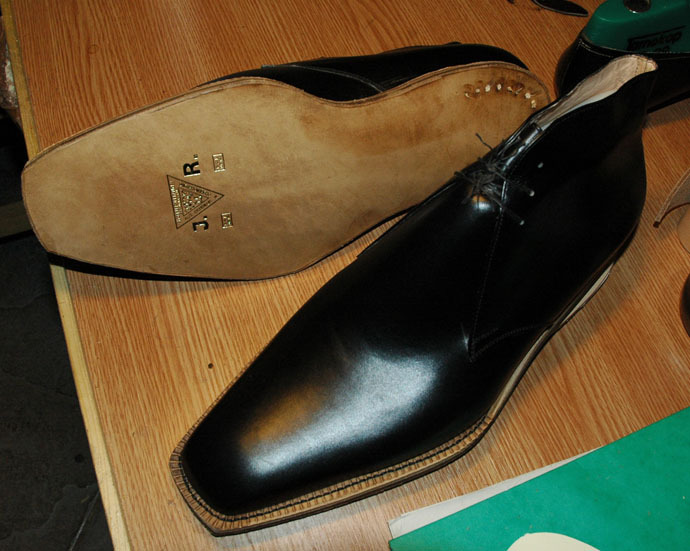 Here is my chukka order, what I finish soon. Same 7 spi than before, double sole, French boxcalf, etc.. Start to look like a shoe, doesn’t it? Tomorrow they will be ready. They must be ready. 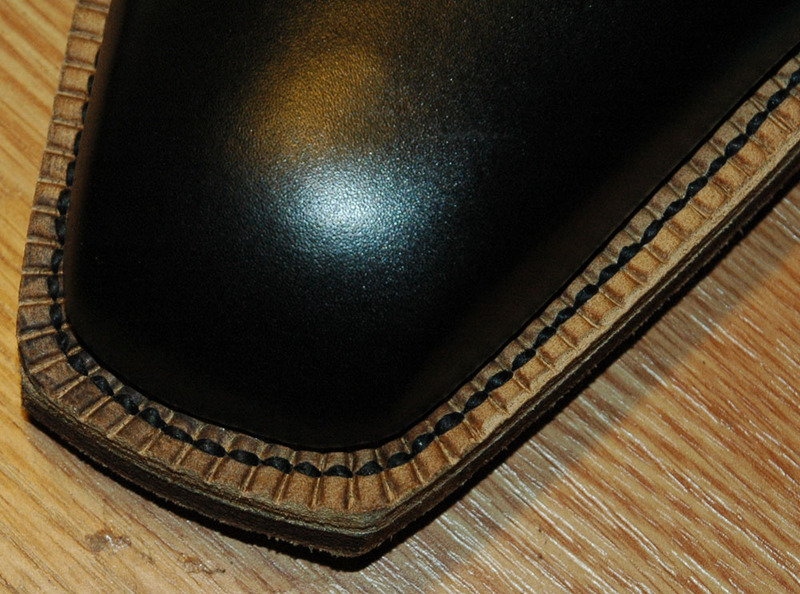 Pictures like these are good… i can already see where I made mistakes trying to teach myself hand stitching the sole. It is a pity you have to paint them, they look good enough without it. In one of your tutorials about toe stiffeners you showed a diagram of how the toe of the shoe should come straight down to the welt, not go underneath. This seems like such a sharp example, there must be more to it then how you finish the stiffener, is the channel of the insole a factor? This stitching is great, and the bottom of the sole looks flawless.